How to work with the tables for buildings on this page? 01. Which tribes exist and what are their advantages? 02. What do I have to know about the main page? 03. How can I register an account and login it afterwards? 04. What do I have to know about the main buttons? 05. How to use village overview, village center and map? 06. How to use statistics,reports/messages and your profile? 07. How to build in your village overview? 08. How to build in your village centre? Can I relocate my village? How can I steal artefact from another player? How can I steal artefact from Natars? How many artefacts can I have? How can I create an alliance forum? How can other alliance members help when I am under attack? How to add diplomacy links into the ally profile? How to create an alliance? How to invite people into the alliance? How to join an alliance? How to quit an alliance? How to send a message to all alliance members? What do I get for extending the embassy? What do the graphs in the alliance overview mean? What does NAP, confederation and war mean? Whose embassy limits the amount of players in alliance? 2. How can I place my bid? 3. How can I put my own items up for an auction? 4. How do auctions work? 5. How do I get Silver? 6. How can I change Gold – Silver? 7. How can I track the auctions I bid for? 2. How to get there the easy way. How do I ask questions about the game? How do I contact the Multihunter? If they cannot help me, who else can I contact? Building while being crop locked? Map: 02. How to use the map? Can I get more resources with a Plus account? Can I transfer my (remaining) Gold? Can one buy Gold as Sitter? Do I need Plus account for the other functions? Does the transfer link expire? How can I buy Gold from different countries? How can I earn Gold? How do I get Gold? Is there anyone I can talk to if I have problems? What does "active orders" mean? What is the procedure to transfer Gold? What's with my gold at the end of a game world? Why can't I finish some buildings with Gold? Why does my payment get rejected/declined? 01. What are Gold features? 01. What is the Plus membership? How can I use my nature troop? How does my hero's health work? How to change the appearance of my hero? How to equip items to my hero? How to use village overview, village center and map? What do I have to know about registration? What do I need to know about the home page? Can I change my name in game? How can I change my village name? How can I give my account away? How do I add a sitter? How do I sit for someone else? I have forgotten my password, how do I retrieve it? What is a dual? How to add one? 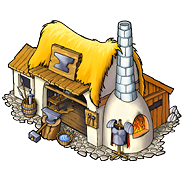 The weapons and armour of your warriors are enhanced in the smithy’s melting furnaces. 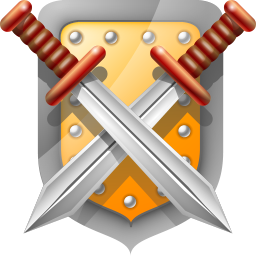 By increasing its level, you can order the fabrication of even better weapons and armour. An upgrade done to a unit counts for all units of that type in the village the upgrade is done. This means an upgrade done in village A does not count for troops coming from village B. 6. How can I change Gold - Silver?